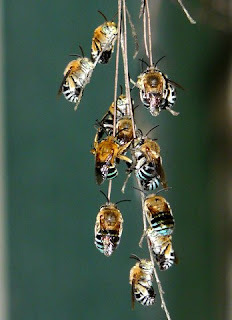 The O ffice of the First Lady is busy as a bee. The real ones. A colony of bees received a personal invitation to pollinate, populate and proliferate with Honey for the White House right on the grounds. A gardner is a beekeeper and will do the honeyco mb honors. 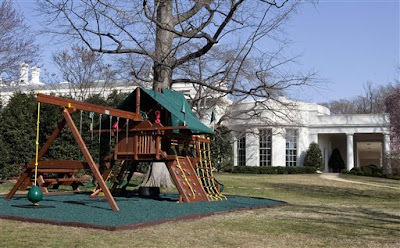 Right outside the Oval Office is the new cedar and redwood castle and swing set for Malia & Sasha and any other kid allowed in the park setting. 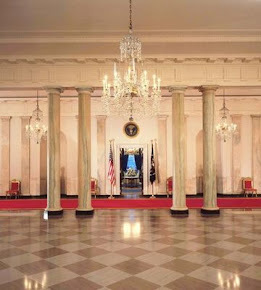 The $3500 set, including presidentially inscribed picnic table was personally vetted at the manufacturer's; Rainbow, by Admiral Rochon, the White House's Chief Usher. The new addition to the swing set was made a week ago, adding a safety mat to the play area made of recycled rubber tires to cushion future falls. We have bumblebees and kids and to go for the trifecta, veggies of all kinds and colors will grow near the fence facing E Street on the furthest reaches of the South Lawn. It will go near the "backyard" fountain FLOTUS (First Lady of the US) turned Celtic green on St. Patrick's Day as a salute and taste of hometown Chicago. Michelle Obama then grabbed a shovel, a rake and finally a cookie as she led her elementary school helpers of the day in a grand ode to broccoli, arugula, spinach, peas, mints, onions and berries. All grown organically with homemade compost. Mrs. Obama has only exempted her Mom from garden duty. Even President Obama will have garden duties along side his daughters as Mama Obama has declared a war on weeds. White House chefs were present and accounted for as the latest garden was born. It is in their interest as many items were on their personal wish list and will end up in the scrumptious fare at White house events. 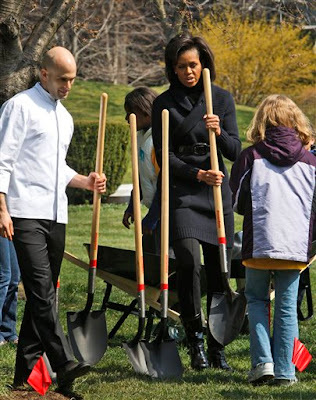 Sam Kass pictured below is a big lovacore - fan of local food - and did many a personal meal for the Obamas in Chicago. The garden will also provide year round and the extras will go Michelle Obama mentioned she got the nutrition talk from her pediatrician to get the girls real food as they were plumping up on diets of takeout. 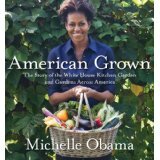 Michelle admits to Sasha & Malia enjoy vegetables that taste good and homegrown is a great way to do that. 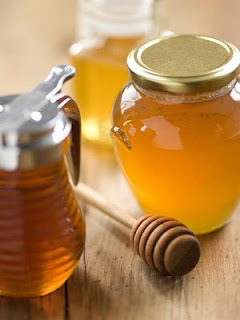 It will be great to have some wonderful fresh greens after working hard playing on a swing set or the East Wing while avoiding any stray bees that are taking a 15 minute break from honey production. Bees, Kids & Vegetables - the combination sounds very American. 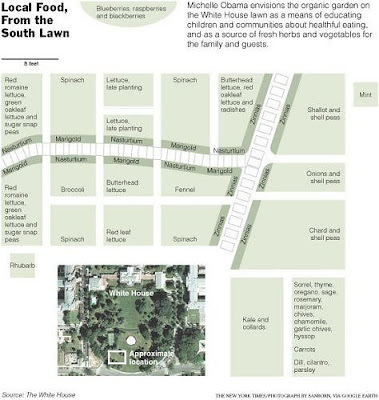 The L-Shaped garden layout released by the White House.